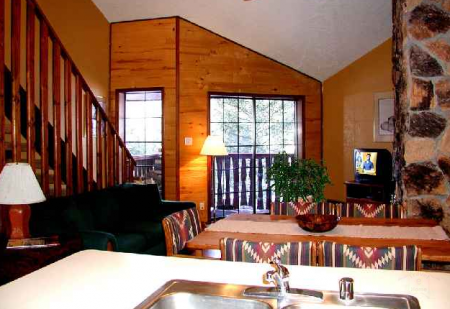 Twining Condos are an all time favorite with returning guests. 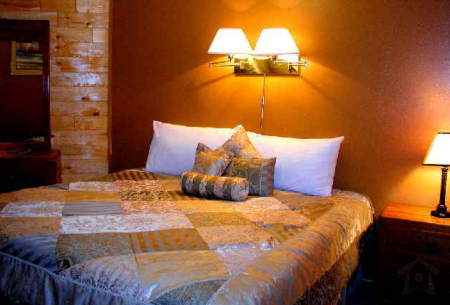 The central location in the heart of Taos Ski Valley Village means you do not need to get back in your car until the day of departure with an easy 3 minute walk to lifts and an easy walk at night for restaurants, shops and the all time famous "Bumps" convenience store for last minute forgotten items. 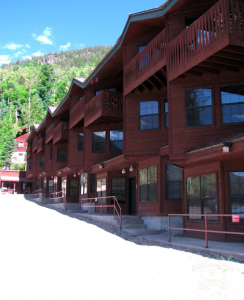 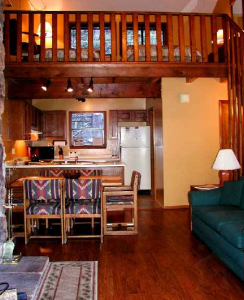 Stay at Twining condo #5 for the closest thing to " Ski in Ski out " without " ski in ski " out rates. 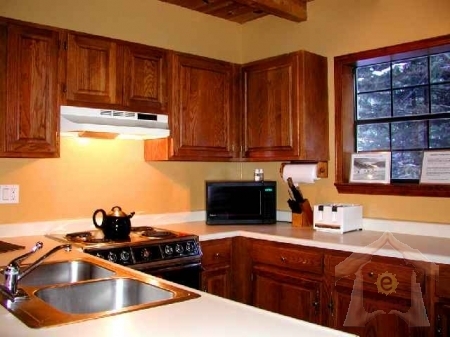 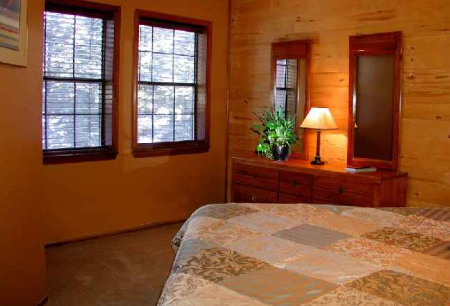 Equipped with Wi-Fi high speed internet, private phone, full kitchen, wood burning fireplace and great ski run views. 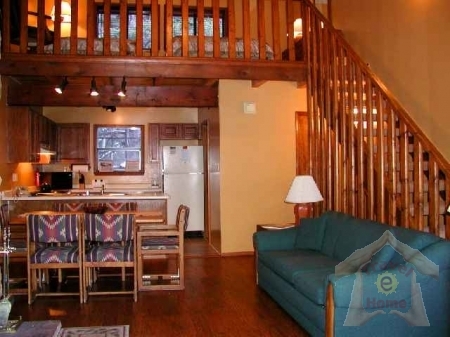 Renovated and refurbished from top to bottom winter 2010 makes this Twining condo stand out from all the rest. 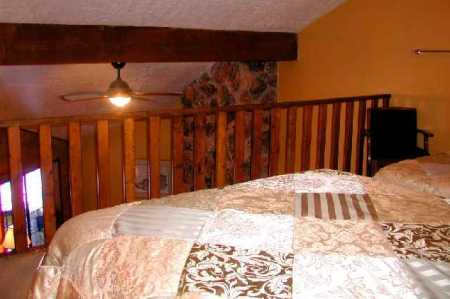 New hardwood floors, carpet, fresh paint, new linens and bedding are just some of the upgrades your party will enjoy. 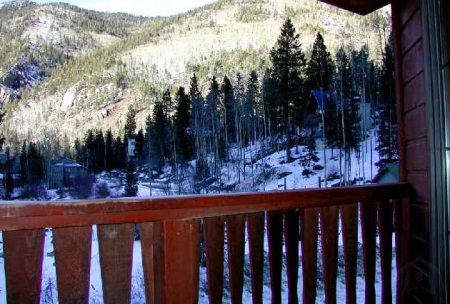 Views from the large living room windows and second floor balcony show off Taos Ski Valley mountains and the picturesque Alpine village. 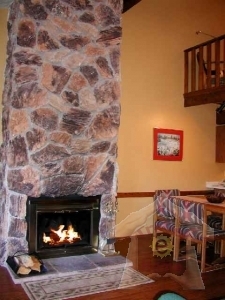 This inviting condo offering "chalet ambiance" with massive wood burning stone fireplace is fully furnished with linens, cookware, dishes, firewood, phone and satellite TV. 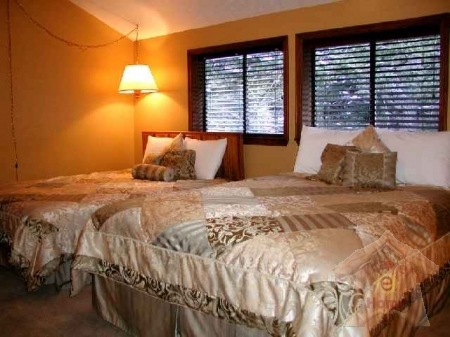 The bedroom offering 2 twins or a King is always made up as a King bed. 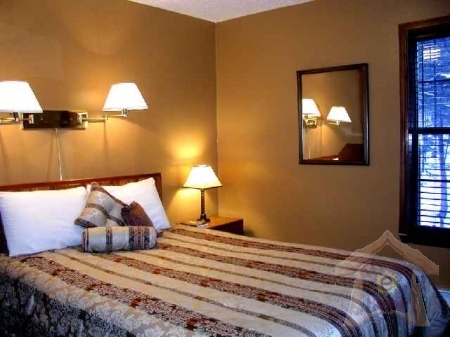 Should your party desire 2 twins, please notify the caretaker well in advance to change it to 2 twin beds. 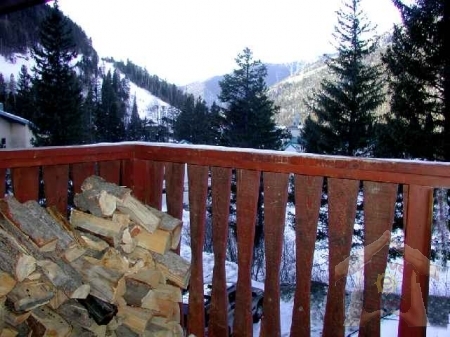 Taos standard for "Ski in Ski Out" indicates one does not have to get in their car to reach the slopes, but rather that lifts and runs can be reached by a relatively short walk and/or pole.